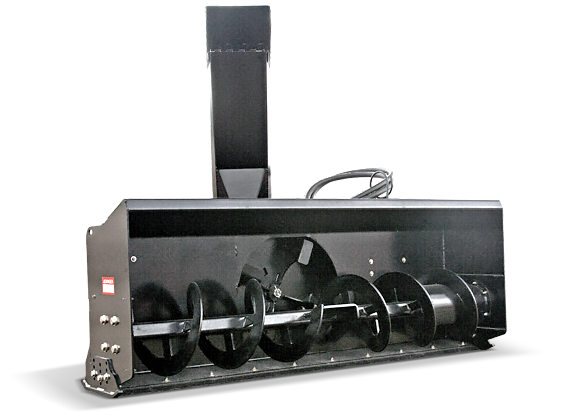 THE ALLIED BY FARM KING HD HYDRAULIC SNOWBLOWERS HAVE BEEN ENGINEERED TO MAXIMIZE YOUR SKID STEERS EFFICIENCY. Available in high and standard flow configurations, Allied by Farm King blowers will connect with any modern skid steer. Designed to be durable and reliable, Allied by Farm King products are the best choice for industrial and commercial snow removal. Cutting Width 60" 72" 72" 84" 84"
Cutting Height 25" 25" 35" 25" 35"